The JM Series is a touchscreen video intercom system that can be installed at 4 doors with up to 8 inside stations for controlled monitoring and access to your facility as well as communication between inside stations. It's perfect for any application from residential use to offices, schools, hospitality, or public facilities. This JMS-AEDV is a boxed set which includes the JM-4MED master station, the JK-DV door station, and the PS2420UL power supply. The JM-4MED Master Station allows for hands free communication using the built-in speaker and microphone or handset communication when privacy is needed. State of the art 7 inch color touchscreens with intuitive icons and large buttons allow for easy control and monitoring of the system. The master station unit is equipped with a door release button to allow entry. 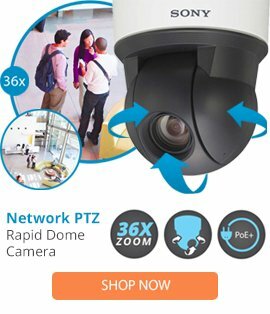 Pan tilt zoom (PTZ) cameras and brightness controls allow the master station user to control the camera angle and lighting of the JK-DV door station for the best visibility possible. Optional removable SD or SDHC cards allow up to 1,000 calls to be recorded and stored in addition to the 20 calls that can be recorded in internal memory. We sell additional boxed sets, the JMS-4AED, and the JMS-4AEDF, all with a master station, door station, and power supply. Additional components to enhance your system can be purchased separately. See the attached vendor PDFs under "Resources" for more detailed information about this product and the JM series.